You can walk into almost dispensary or order online and gain access to an eclectic variety of amazing marijuana edibles. But after a while these can get old and put a hole in your wallet. Instead, get creative with your cannabis consumption by making infused dishes and drinks at home! 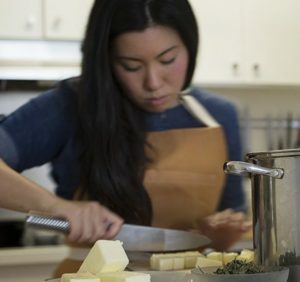 Now that you can buy infused butters, olive and coconut oils, honeys, and tinctures, and access all sorts of gadgets to infuse oil and butter, it’s easier than ever to become a cannabis chef. Even if you’re not an experienced cook, don’t be afraid to create delicious cannabis meals and cocktails using these inspirational resources! 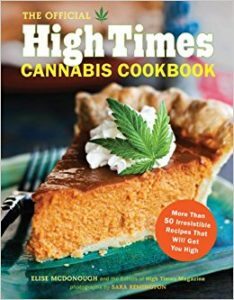 While you can find countless cannabis cooking tips online and even on TV, physical cannabis cookbooks written by pro chefs are still the definitive source. These five will teach you everything you’ll need to know, so put on an apron, roll up your sleeves and get those hands dirty! 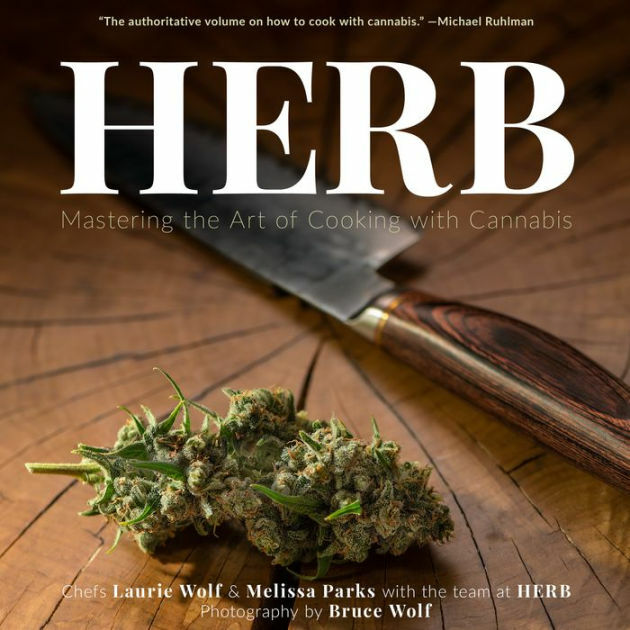 This is the OG of cannabis cookbooks, helping people become marijuana chefs for over a decade. But that’s not all. The beginning chapters walk you through the cannabis basics and provide instructions on how to make infused basics like cannabis oil, butter, and alcohol. 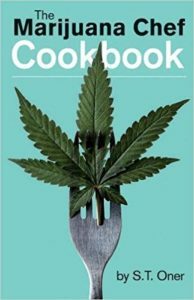 A must have for any aspiring cannabis chef! From another OG of the cannabis world, it’s no surprise that High Times magazine released their own official stoner cookbook containing over 50 recipes for appetizers, main courses, desserts, cocktails, and “high holiday” specialties. Stay entertained with their hilariously creative titles like Strawberry Cough Cake, Pineapple Express Upside Down Cake, Time Warp Tamales, Stuffed Stoned Jalapeno Poppers, and Pico de Ganja Nachos. If you want even more info on different infused active ingredients like cannabis-infused mayonnaise, cannabis glycerite, and tinctures, this cannabis cookbook is your best option. Get it on Amazon for about $20. This selection is as much a piece of art as it is a cookbook. With large, stunning detailed food photos, you can keep it as a coffee table centerpiece for guests to enjoy (and learn) instead of leaving it with your other cookbooks and recipe clippings. 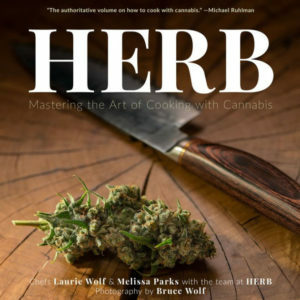 Herb: Mastering The Art of Cooking with Cannabis has more recipes than the other cookbooks mentioned on this list, and some of them are seriously gourmet. Infused bruschetta with ricotta and peas? Yes please! Craving a medicated seared sirloin with savory bread pudding? You bet! What’s the greatest thing about this guide? Every recipe is made with one of three infused lipids, which they teach you how to make (coconut oil, cannabis oil and cannabis butter), so you can spend more time cooking than infusing new things. We didn’t forget you patients with dietary restrictions or dietary beliefs because The Vegan Stoner Cookbook was made especially for you. This food guide is full of delicious vegan-infused meals along with cute cartoon veggies and fruits. Despite their innocent appeal, don’t be fooled by the adorable illustrations; this book is packed with tasty, impressive infused vegan meals like fried tofu and waffles, teriyaki skewers, and coconut pot pie. There are over 100 breakfast, lunch, dinner, dessert and munchie recipes, so you’re sure to be a true vegan cannabis chef once you try them all. 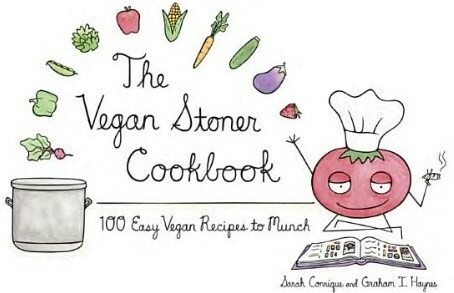 The book also comes with helpful guides to making cannabis infused lipids, vegan basics like mayonnaise and pasty dough, and even vegan substitutes for eggs, milk, butter, and meat. Buy the hardcover on Amazon for around $11. Interested in getting your daily dose of medicine in a delicious cocktail? Want tasty, refreshing drinks without the hangover? This selection is for you. 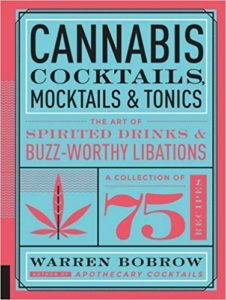 Written by Warren Bobrow, a celebrated mixologist and author of the best seller Apothecary Cocktails, this is the definitive guide to dosing your beverages with a bit of cannabis. 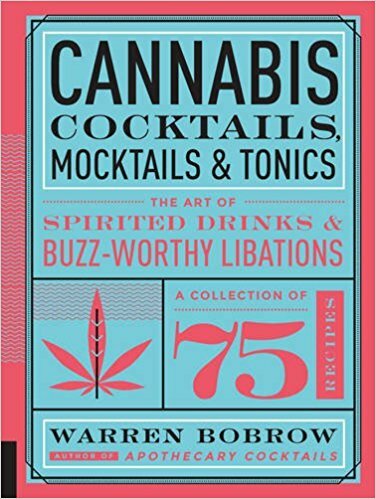 Cannabis Cocktails, Mocktails & Tonics is full to the brim with worthwhile info on making cannabis syrups, tonics, infusions, bitters, and tinctures. This alone makes it worth adding to your library. In addition, you’ll get 75 delicious and creative cocktail recipes handmade and tested by the author himself. Still not into alcohol? Don’t worry, there are plenty of non-alcoholic recipe options for you. Purchase Bobrow’s latest book on Amazon for around $16. Need even more inspiration to get your own cannabis kitchen up and running? Follow these California cannabis chefs and there’s no doubt you’ll be inspired to make some cannabis infused recipes in no time. This Los Angeles-based chef and food photographer embodies the definition of cannabis food goals. Her entire Instagram feed is filled with beautiful, creative, and appetizing cannabis infused dishes and cocktails. Does medicated charred tomato gazpacho, medicated garlic aioli (amazing for french fry dipping and sandwiches), or sativa coffee bites sound good? You need Sous Weed in your life. An added bonus: Sous Weed often features great new edible products on the market, infusing them into her own creative recipes, so you know what to buy. Follow their blog for awesome recipes and beautiful food. You can also hire the Sous Weed team to host a pop up dinner or other events and photography. 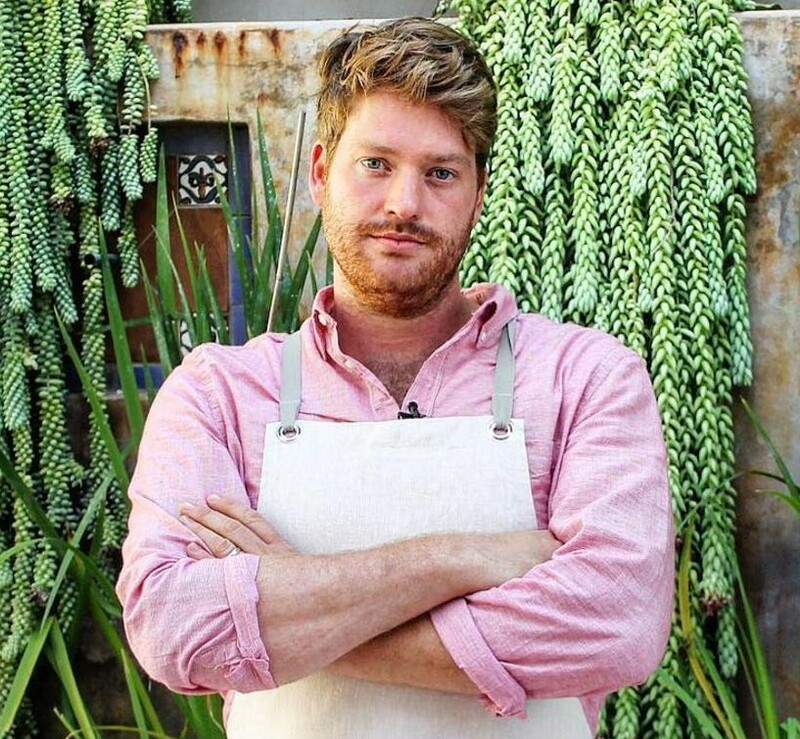 If the Food Network was into weed recipes, Chris Sayegh would have his own show by now. The young chef has worked in some of the top restaurants in New York and California; so it’s no surprise his food is delicious and very high-end. 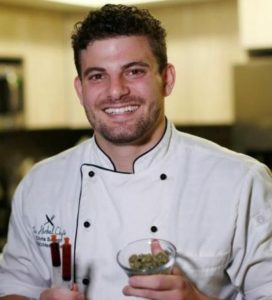 As a result, Sayegh’s goal is to make infused food that doesn’t taste too much like cannabis, which can be off-putting for some would-be enthusiasts. 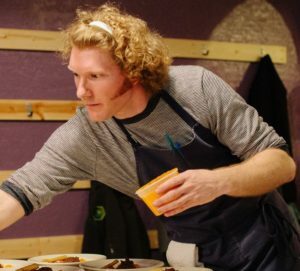 His L.A. based Herbal Chef service provides pop-up dinners and caters private events for up to 50 people all over the country, charging about $500 a head. Occasionally, the renowned cannabis chef will also host banquet-style meals for anywhere between $20-$200 per person. 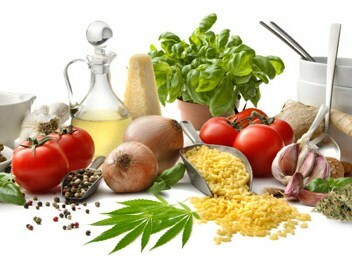 Soon enough, you’ll be able to enjoy The Herbal Chef’s frozen infused meals in the comfort of your own home, anytime! Until then, follow him on Instagram for inspiration. Ironically, this celebrated cannabis chef and Le Cordon Bleu graduate was an anti-drug counselor who told kids not to use pot. Now she owns Elevation VIP Co-Op, a catering company based in Los Angeles that serve high-end, high-class infused foods for intimate group dinners. Drummer treats cannabis just like any other herb in her cooking. She uses only the highest quality buds and the right strains to complement her flavor combos. Follow her for a peek into her chef’s life and maybe even be lucky enough to join her test kitchen! 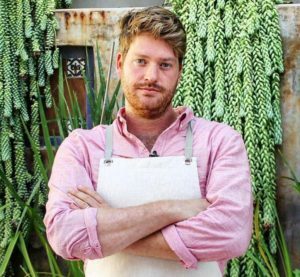 After working for prominent chefs like Tom Colicchio and in some of the best kitchens like SoHo House, Jagger quit to become a cannabis chef. Grabbing a seat his cannabis dinner will cost $500, though you’ll have one of the most opulent cannabis experiences ever. If you can’t justify the price tag, his company’s website, Altered Plates, has some great recipes and their Instagram is full of drool worthy food. Michael Magallanes is a Michelin-starred chef who’s worked in some of the fanciest kitchens in California. Now he’s in San Francisco creating marijuana meals with the Opulent Chef. 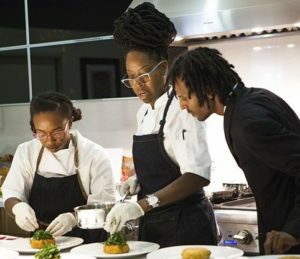 The company has teamed up with NASH Extracts to in host intimate dinners, pop-ups, and private cannabis cooking workshops. Cheaper than most of the hosted dinners, the Opulent Chef’s cost $150 for 8 courses of fancy infused foods. Check out his website for menu photos (possible inspiration for your own efforts) and craveable cannabis infused food pics. With endless inspiration from these cannabis cookbooks and celebrated chefs, you’re now ready to dive head-first into cannabis cooking. Remember, if the infused foods or drinks you make don’t come out as expected, don’t be discouraged. It’s all about experimenting and having fun learning to ingest your medicine in new, creative and delicious ways! Plus, even if something does turn out bad, someone will always eat or drink it. I am not really a good cook. I want to be a cannabis chef though. You just gave me a good an idea!